Once again Los Angeles finds itself ground zero over race issues with the owner of the LA Clippers lighting the spark. It's been 22 years to the day since the City of Los Angeles exploded in to a riot over race. Tonight at the Staples Center, not far from LAPD Parker Center where the rioting began in downtown back on April 29, 1992, the Clippers will play against the Warriors. 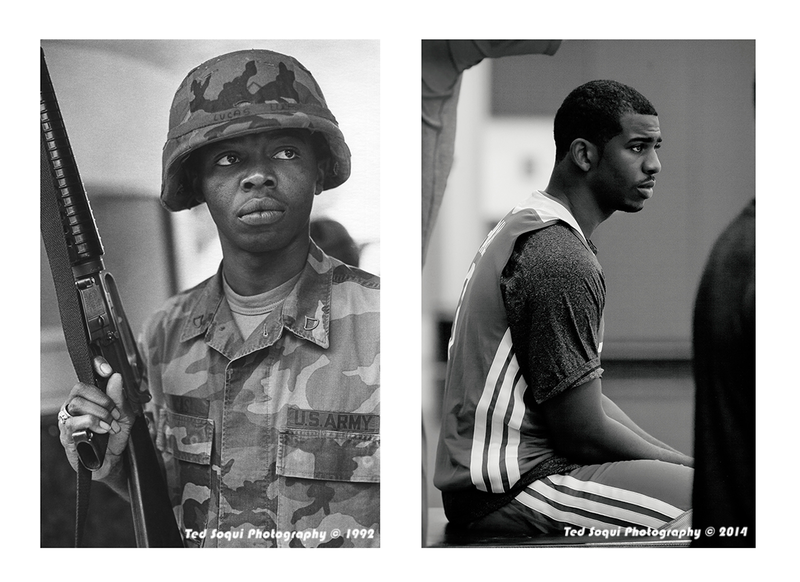 California National Guardsman in LA circa 1992 (Lt), and Chris Paul LA Clipper Guard circa 2014 (Rt).